The software history displays all the programs that were installed in the target OS. 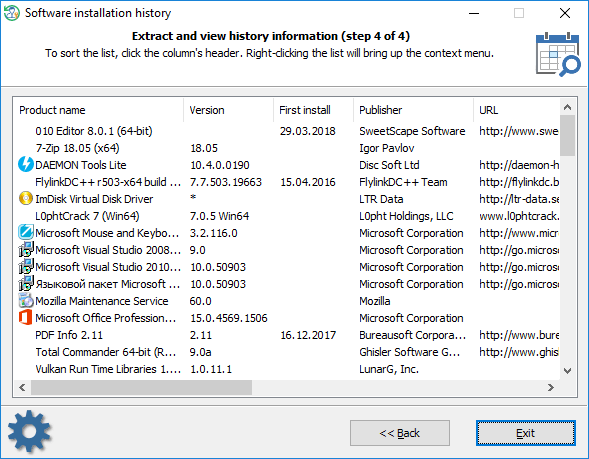 Select what type of the software installations you want to view. 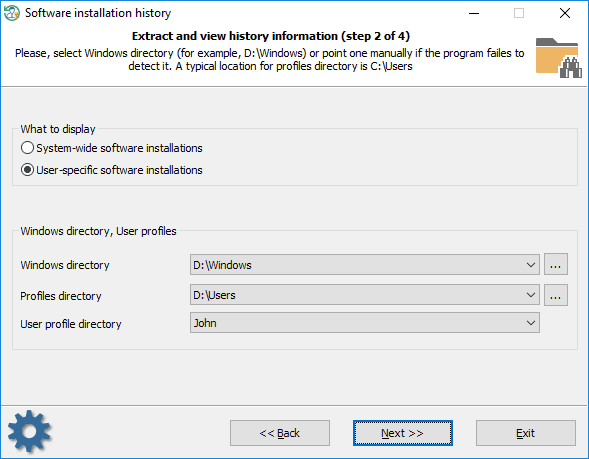 This is either user specific installations (programs installed for a certain user account) or system-wide installations (programs that are available for all users). 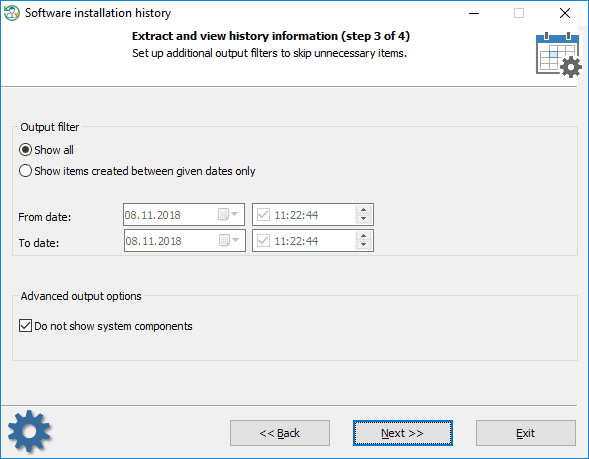 You can point the program to display all items or items that were created between given dates only. The additional option is aimed to hide some system components, like system updates, etc.